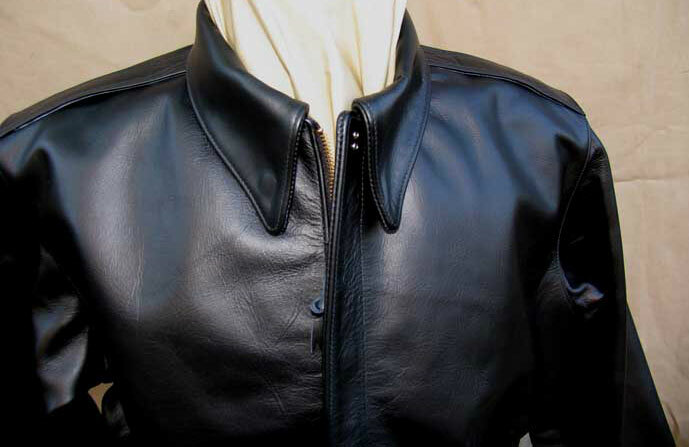 A-2 Black Horsehide Leather Flight Jacket Lost Worls Vintage Hyde Corp. 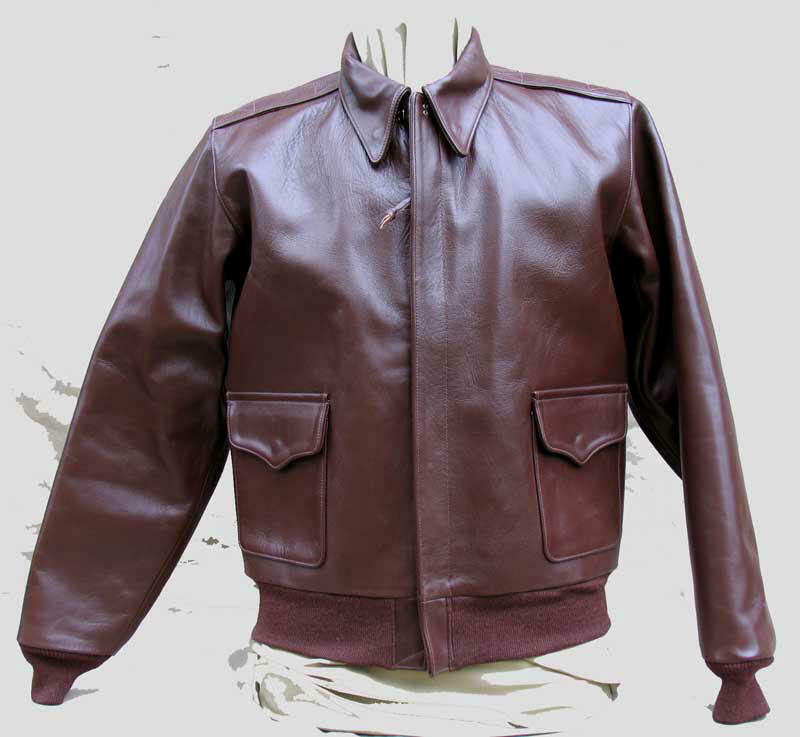 The perennial popularity of our extraordinary Russet Brown Horsehide A-2 has always attracted customers who love the classic A-2 design and order it in peerless LOST WORLDS 3.0 - 3.5 oz. Black Horsehide. We make them in other hides/colors as well, purely on a custom basis: elk, deer, goat. In WWII the Army Air Forces-issued A-2 only came in different shades of russet and chestnut browns. 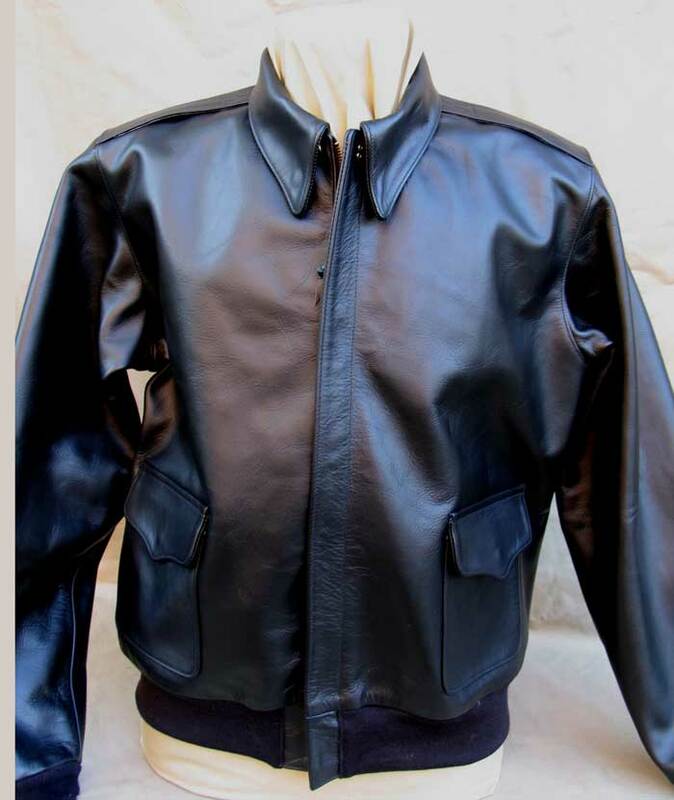 Yet even during the 1940s those contractors who produced the A-2 for the military -- civilian jacket manufacturers in peacetime -- produced black A-2s for civil aviators. Thus "authenticity" is not a criterion (for those who think the A-2 in any but the AAF shades is heresy). After all, how many of us who love and wear A-2s flew in WWII to begin with? Most commercial period A-2s display yoked, 2-piece backs and 3-piece sleeves. 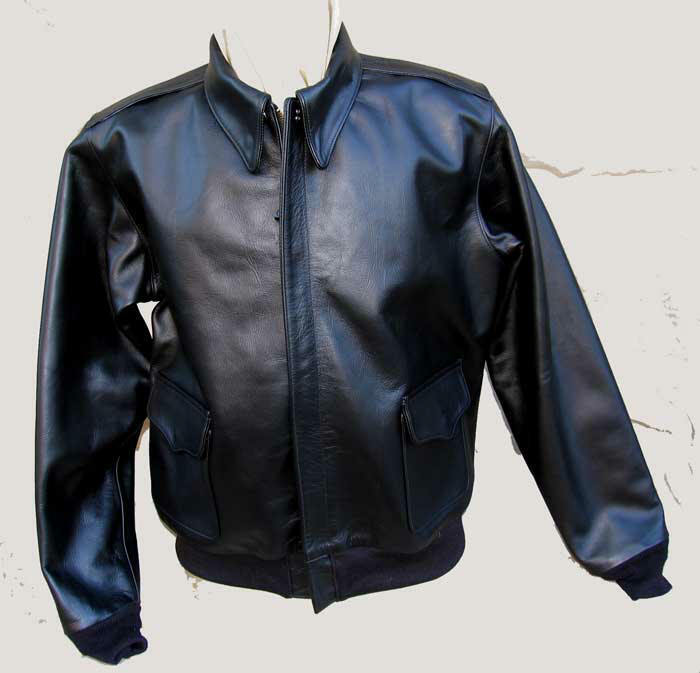 The LOST WORLDS Black Horsehide A-2, in contrast, uses the AAF military construction: 1-piece back, 2-piece sleeve. Black Satin Lining, Brass Talon Zipper, 100% Wool Cuffs/Waistband, Brass Snaps, Nickel-plated brass Hook-and-Eye. Made of course in our own New York factory. The question of military and non-military uncovers overlaps and peculiarities. AAF contract jackets made in Australia and India differ in crucial respects from the US government issue in pattern, detail and materials which simply couldn't be procured in far-off combat theaters. Yet in war movies of the period, where one might expect easy access to genuine AAF stocks for patriotic accuracy, authenticity was rarely an issue. Every wartime and postwar MGM production, for example, displays A-2s with 2-piece backs: Spencer Tracy in THIRTY SECONDS OVER TOKYO (1944) and Robert Montgomery in John Ford's THEY WERE EXPENDABLE (1945) -- in the latter Montgomery plays famed PT boat skipper John Brickley but wears an A-2 anyway! In 20th Century Fox's TWELVE O' CLOCK HIGH star Gregory Peck appears to have a real one early in the movie but later wears an A-2 with a neck snap. Clearly these matters were influenced by what was in Wardrobe and how a particular jacket looked on camera and fitted the actor, not strict period accuracy. Propaganda, not realism, motivated WWII movie studios. 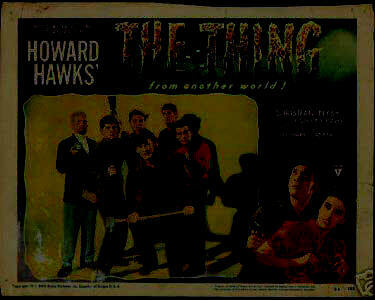 But the Hollywood dream machine was only cooperating true to form. Realism has never been a concern in American movies, then or now. Then it was about escape from the daily grind, now selling popcorn to pimply teens. During WWII accuracy was on the back burner. In Henry Hathaway's fictive recreation of the Midway victory, WING AND A PRAYER (1944), TBF Avengers devastate the Japanese fleet, not the Dauntless SBDs which did the job in reality. The few TBFs at Midway were massacred by Zeros and didn't score a single hit. During the war one movie, William Wellman's masterly THE STORY OF GI JOE (1945) sought to tell its story as truthfully as censorship and audience mores allowed. It still stands as the best American effort of the period. Accordingly William Wyler's Oscar-winning THE BEST YEARS OF OUR LIVES (1946), revered as THE American movie treating the experiences of returning soldiers, is, in retrospect, an overdone, sentimental crowd-pleaser, like Wyler's 1942 MRS. MINIVER. The little-known RKO 1946 TILL THE END OF TIME, directed by Edward Dmytryk with a shattering performance by Dorothy McGuire, is a very small, very adult look at the same subject and far better. In the 1940s RKO stood virtually alone in making pictures for adults. Compare Val Lewton's psychological horror gems to anything else in Hollywood -- Lewton's work is only comparable to European films in sophistication. This introduces another interesting and related matter: how come, we're asked every so often, LOST WORLDS jackets aren't in movies? Well, they are, but behind the camera, on the backs of famed directors, writers and cameramen. They're not in front of the lens for, ironically, the very reason customers esteem our jackets: the great weight and firm hand require break-in and use. (High performance engines have break-in periods, too.) They're not over-drummed, rolled, to pre-soften, antique and give that faux "been there" look right out of the box. The finish doesn't erase off with the merest contact, the merest flick of a (limp) wrist. Hence LOST WORLDS jackets don't photograph the way they must for a movie: as if old, beaten-up, dull, faded, through-the-wars. Crap is more "digestible" on camera than quality! Most American movies are total crap anyway, coddling idiots, sucking up to "markets," allergic to intellect. Most jackets are the same. Nice irony here too: the character of our jackets, so dramatically original and authentic, becomes the very factor militating against their showing up in movies. Hence the difference between reality and Hollywood! LOST WORLDS jackets are so real they frighten those who aren't real. Call it a reality check.